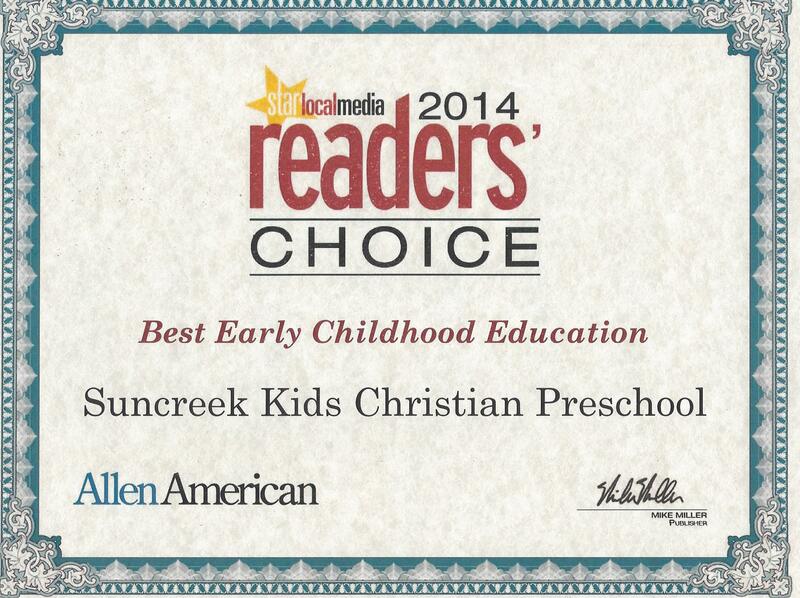 Suncreek Kids was voted Best Private School and Best Early Childhood Educator in the Allen American Newspaper for 2014! We have been blessed with this honor over the years including 2007, 2010, 2011 and 2012. 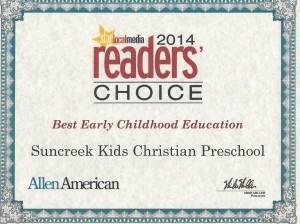 Such an honor for us as we love our school and the families we serve. 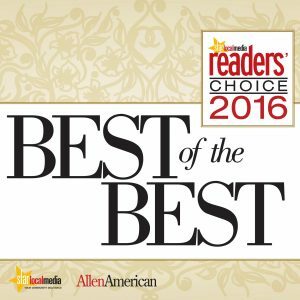 Thank you so much for your continued support!! 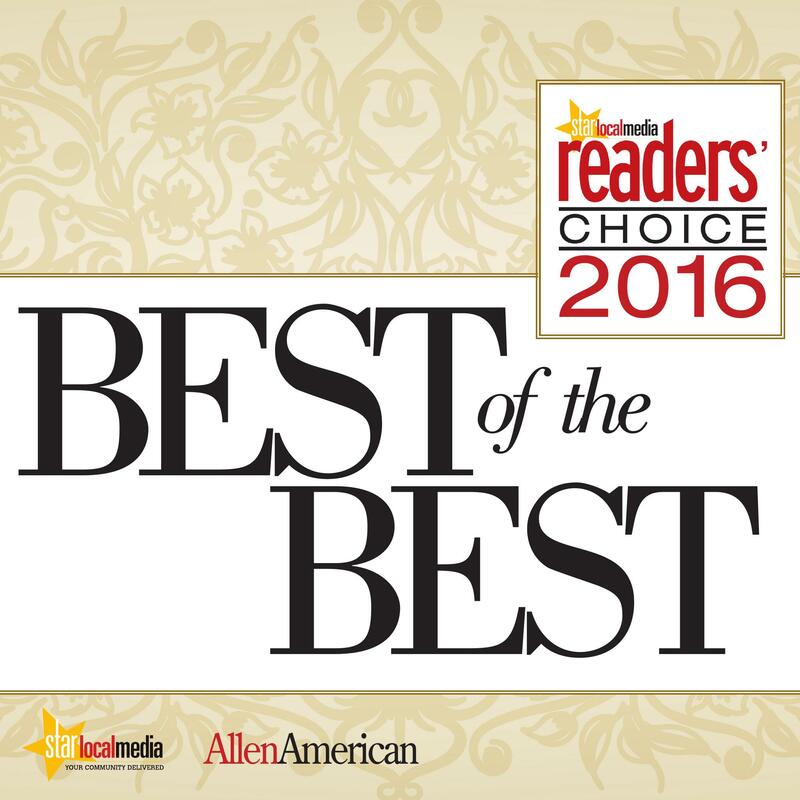 2016 Allen American Reader’s Choice Runner Up for Best Early Childhood Education & Private School!! !